This post offers a brief discussion of some isotopic evidence for the presence in Britain of people from the cold far north and east of Europe between the Bronze Age and the Late Saxon/Viking eras, following on from a previous posting that looked at the evidence for African and southern Iberian migrants in Britain between c. 1100 BC and c. AD 800. The geographic distribution of areas with rainwater/drinking water oxygen isotope values below ‑10.0‰, shown in dark grey, and below -12.0‰, shown in black; note, drinking water in the UK has δ¹⁸O values ranges from around -9.0‰ to -4.5‰. Image: C. R. Green, based primarily on the IAEA's 2013 RCWIP model and L. J. Araguas-Araguas & M. F. Diaz Teijeiro, 'Isotope composition of precipitation and water vapour in the Iberian Peninsula', in IAEA, Isotopic composition of precipitation in the Mediterranean Basin in relation to air circulation patterns and climate (Vienna, 2005), pp. 173–90 at fig. 3. Note, this map used the 2013 IAEA precipitation models as its source; other published maps, such as the BGS/Chenery 2004 drinking-water map, show a smaller area of southern Sweden/Norway and a greater area of Central/Eastern Europe as having values below ‑10.0‰, although a more detailed drinking-water map of Germany offers a picture much closer to that depicted here. 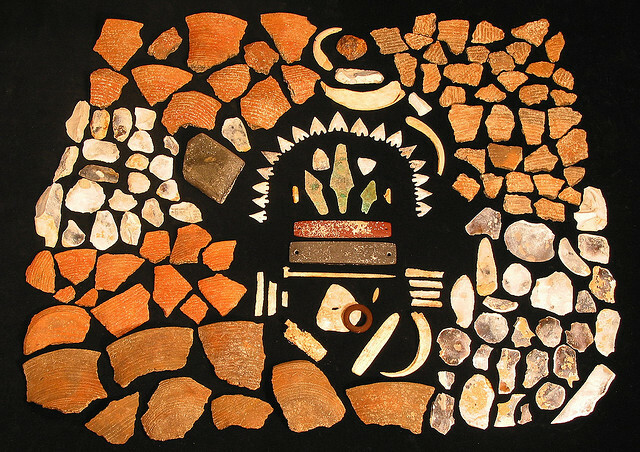 Finds from the grave of the Amesbury Archer, c. 2300 BC (image: Wessex Archaeology). Moving into the Late Bronze Age and Iron Age, some extremely interesting results have recently been obtained from 10 individuals interred at Cliffs End, Thanet, Kent. Four of the Cliffs End individuals belong to the Late Bronze Age (eleventh to ninth centuries BC) and six to the subsequent Early and Middle Iron Ages, and their results suggest the childhood consumption of drinking-water with values primarily between -15.0/-13.2‰ and -11.3/-10.3‰—needless to say, the lowest of these are only really compatible with an early life spent in the more northerly, Arctic parts of Scandinavia, and an origin in Norway or Sweden is thought very probable for most if not all of the rest too. (5) Two things are particularly interesting in this context. The first is that the same cemetery also includes a number of people with values at the opposite end of the scale, indicative of a childhood spent in southernmost Iberia and North Africa, including two individuals (one from the Late Bronze Age and one from the Iron Age) who have the highest δ¹⁸O values ever recorded from Britain, implying that they very probably grew up somewhere like the Nile Delta region, as was discussed in an earlier post. Bronze Age amber beads, probably made from Baltic amber, found in the grave of an adolescent at Boscombe Down, Wiltshire, dating to around 1550 BC; the boy they were buried with reportedly has a tooth enamel oxygen isotope value of 18.8‰, indicative of an early life spent in southern Iberia (image: Wessex Archaeology, used under their CC BY-NC 3.0 license). A probable late fifth- or early sixth-century buckle tongue, which has its best parallels in finds from Norway and Estonia; found Thimbleby, Lincolnshire (image: PAS). Looking finally to the post-Roman era, it is perhaps unsurprising that there is at least some isotopic evidence for the presence of immigrants potentially from the Scandinavian peninsula in Britain at that time. Certainly, it is now well-established that the late fifth- to early seventh-century archaeology of eastern England region exhibits strong and convincing cultural links with western Scandinavia right up to Sogn og Fjordane, Norway, which are most credibly explained via a degree of immigration from that area in the immediate post-Roman era followed by a period of continued contact, and it has even been suggested that the East Anglian royal Wuffingas were potentially either of Swedish/Geatish origin or claimed to be so. (11) Similarly, few now doubt the reality of at least a degree of significant Scandinavian settlement in eastern and northern England during the ninth- to eleventh-centuries—the 'Viking Age'—with this being testified to not only by documentary sources, but also by small finds, personal names and place- and field-names. (12) However, several points are worth making when it comes to the isotopic evidence relating to the fifth- to eleventh centuries AD. A 3D view of the Weymouth mass-burial pit containing the remains of 51 decapitated Vikings (image: Oxford Archaeology, used under their CC BY-SA 3.0 license). In conclusion, a survey of the total available isotopic evidence for the presence of Scandinavian and central/eastern European people in Britain before the mid-eleventh century AD produces some potentially very interesting results, even if we narrow our focus only to those people who possess results indisputably outside of the British ranges and so exclude all those potential migrants who fall just on the edge of this range or who come from areas such as southern Denmark—or even southernmost, coastal Norway—that have drinking-water oxygen isotope levels that overlap with the lower parts of the British range. Perhaps the most intriguing conclusion to draw from the above presentation of the evidence is that there was arguably a persistent Scandinavian element in the population of Britain for several millennia, with evidence for such first-generation migrants and settlers not being restricted simply to the 'early Anglo-Saxon' and 'Viking' eras, as might be expected from the documentary and artefactual evidence, but rather occurring throughout the whole period under study. So, for example, people from that region are thought to have been present during the Late Bronze Age and Iron Age in Kent based on the exceptionally depleted results of people buried there, and it is arguable that at least a proportion of the Roman-era individuals with very low oxygen isotope results may have grown up in Scandinavia too (see above). Similarly, over 6% of the individuals analysed from the seventh- to early ninth-century royal cemetery at Bamburgh, Northumberland, are considered to have grown up in Norway or Sweden, despite the fact that this cemetery falls chronologically between the above two presumed post-Roman episodes of significant British–Scandinavian contact. Of course, we do need to recognise that only a few cemeteries have been properly analysed, that the Thanet and Bamburgh sites have features which suggest that they may be unusual in their degree of cosmopolitanism, and that it cannot be forgotten that any Anglo-Saxon or Viking migrants from, say, Denmark rather than much of Norway and Sweden are largely invisible to the present survey, as was observed above. Nonetheless, the above situation is at the very least intriguing and certainly worthy of note, and might be taken to suggest that a multi-millennial pattern of a degree of British–Scandinavian movement and contact, with peaks and troughs, might be worth some consideration, in contrast to the more usual assumption of simply a handful of discrete, post-Roman migrationary episodes. With regard to central/eastern European migrants, the situation is rather less clear. The Early Bronze Age Amesbury Archer is certainly believed to fall into this category, and some of the Thanet burials could potentially have such origins, although the highly depleted oxygen isotope values of many of the individuals buried here suggest that Scandinavia is a more plausible place of origin, as the excavators argue. For the Roman period, a central/eastern European origin in perhaps Roman Pannonia has often been favoured for at least some of the people with δ¹⁸O results below the British range, but it arguably doesn't work for them all—around half of the Roman-era individuals listed above have extremely low results of the sort seen at Thanet, and the early fifth-century 'Gloucester Goth' is certainly now usually considered to have origins that lie beyond the bounds of the Roman Empire, perhaps in central/eastern Europe or southern Russia. 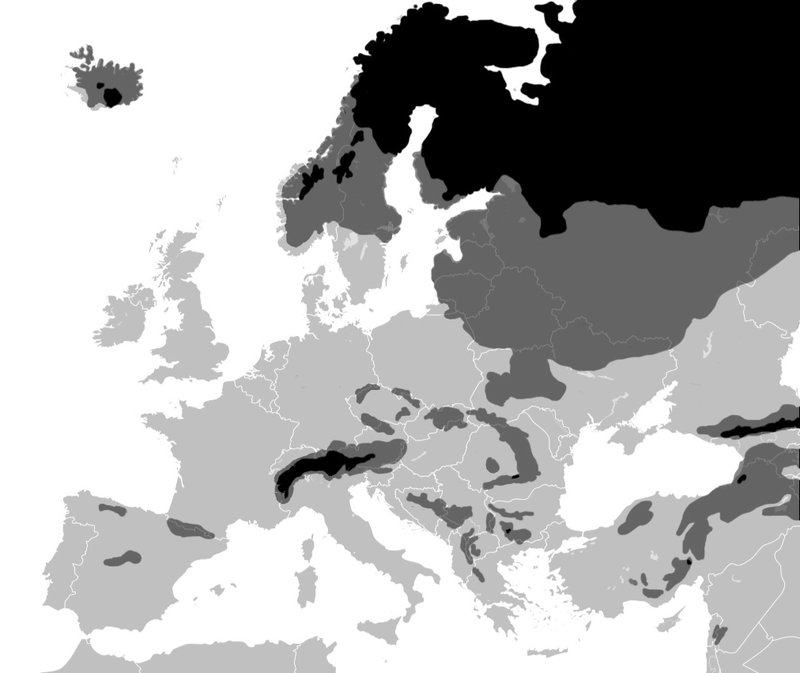 As to the post-Roman period, it is by no means impossible that some of the less extreme oxygen isotope values listed above could reflect people who grew up in the cold areas of central/eastern Europe rather than Norway or Sweden—and a previous post on this site has certainly discussed some possible evidence for Huns, Goths and others in post-Roman Britain—but at present no candidates for such an origin have yet been identified in the published literature. 1 See C. Chenery et al, 'Strontium and stable isotope evidence for diet and mobility in Roman Gloucester, UK', Journal of Archaeological Science, 37 (2010), 150–63, and also J. A. Evans et al, 'A summary of strontium and oxygen isotope variation in archaeological human tooth enamel excavated from Britain', Journal of Analytical Atomic Spectrometry, 27 (2012), 754–64 at p. 762 with regard to the Amesbury Archer, who has a tooth enamel phosphate oxygen isotope value of 16.2‰. 2 For the two equations used to relate δ¹⁸Op to δ¹⁸Odw, see Chenery et al, 'Strontium and stable isotope evidence for diet and mobility in Roman Gloucester', pp. 156–7, 159–61 & especially Table A1 which gives both equations, and V. Daux et al, 'Oxygen isotope fractionation between human phosphate and water revisited', Journal of Human Evolution, 55 (2008), 1138–47. For the drinking-water range from Britain, see W. G. Darling et al, 'The O and H stable isotope composition of freshwaters in the British Isles. 2. Surface waters and groundwater', Hydrology and Earth System Sciences Discussions, 7 (2003), 183–95; for values from Scandinavia and Central/Eastern Europe, see the map included above, which is based on the IAEA's 2013 RCWIP model, and J. I. McKinley et al, 'Dead-sea connections: a Bronze Age and Iron Age ritual site on the Isle of Thanet', in J. T. Koch & B. Cunliffe (eds. ), Celtic from the West 2. Rethinking the Bronze Age and the Arrival of Indo-European in Atlantic Europe (Oxford, 2013), pp. 157–83 at p. 167. For the observation that there are very few environmental, biological, or cultural processes that that can result in human tooth oxygen isotope values that are lower than would be expected on the basis of the consumed drinking-water, see J. Montgomery et al, 'Finding Vikings with isotope analysis: the view from wet and windy islands', Journal of the North Atlantic, 7 (2014), 54–70 at p. 63. 3 The main catalogue is extracted from the data included in Evans et al, 'A summary of strontium and oxygen isotope variation in archaeological human tooth enamel excavated from Britain', Supplementary Material I (14 pp.). The Thanet results are taken from McKinley et al, 'Dead-sea connections: a Bronze Age and Iron Age ritual site on the Isle of Thanet', figs. 6.5 and 6.6; the Oxford results are taken from A. M. Pollard et al, '"Sprouting like cockle amongst the wheat": The St Brice's Day Massacre and the isotopic analysis of human bones from St John's College, Oxford', Oxford Journal of Archaeology, 31 (2012), 83–102; and the additional Bamburgh results are taken from S. E. Groves et al, 'Mobility histories of 7th–9th century AD people buried at early medieval Bamburgh, Northumberland, England', American Journal of Physical Anthropology, 151 (2013), 462–76 and Supplementary Materials: Tables. 4 Evans et al, 'A summary of strontium and oxygen isotope variation in archaeological human tooth enamel excavated from Britain', p. 762; C. A. Chenery & J. A. Evans, 'A Summary of the Strontium and Oxygen Isotope Evidence for the Origins of Bell Beaker individuals found near Stonehenge', in A. P . Fitzpatrick (ed. ), The Amesbury Archur and the Boscombe Bowmen: Bell Beaker Burials at Boscombe Down, Amesbury, Wiltshire (Salisbury, 2011), pp. 185–90. 5 McKinley et al, 'Dead-sea connections: a Bronze Age and Iron Age ritual site on the Isle of Thanet', pp. 167–8. 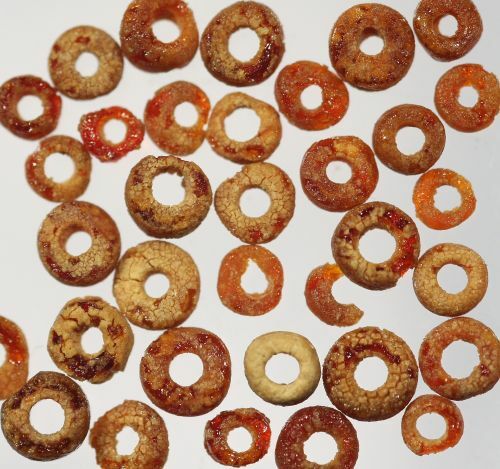 6 J. Varberg et al, 'Between Egypt, Mesopotamia and Scandinavia: Late Bronze Age glass beads found in Denmark', Journal of Archaeological Science, 54 (2015), 168–81; A. J. Mukherjee et al, 'The Qatna lion: scientific confirmation of Baltic amber in late Bronze Age Syria', Antiquity, 82 (2008), 49–59; J. Ling et al, 'Moving metals II: provenancing Scandinavian Bronze Age artefacts by lead isotope and elemental analyses', Journal of Archaeological Science, 41 (2014), 106–32, quotation at p. 126. See also J. Ling & C. Uhnér, 'Rock art and metal trade', Adoranten, 21 (2014), 23–43, and T. Earle et al, 'The political economy and metal trade in Bronze Age Europe: understanding regional variability in terms of comparative advantages and articulations', European Journal of Archaeology, 18.4 (2015), 633–57, esp. pp. 642–4. 7 Ling & Uhnér, 'Rock art and metal trade', pp. 35–9, and see now J. I. McKinley et al, Cliffs End Farm, Isle of Thanet, Kent. A Mortuary and Ritual Site of the Bronze Age, Iron Age and Anglo-Saxon Period with Evidence for Long-Distance Maritime Mobility (Salisbury, 2014). 8 Ling & Uhnér, 'Rock art and metal trade', p. 37; B. Cunliffe, Mount Batten, Plymouth: a Prehistoric and Roman Port (Oxford, 1988). Note, a possible three-holed Bronze Age stone Mediterranean anchor from Plymouth Sound has been mentioned in news reports relating to the SHIPS Project/ProMare, but is as yet unidentified on the database for this project; see T. Nichols, 'Unique project launched to shed light on hidden treasures in Plymouth Sound', Plymouth Herald, 5 July 2014, online at http://www.plymouthherald.co.uk/Shedding-light-hidden-treasures-Sound/story-21332210-detail/story.html, although it should be remembered that the dating and geographical origins of such stone anchors is open to debate. 9 See especially C. R. Green, 'Thanet, Tanit and the Phoenicians: place-names, archaeology and pre-Roman trading settlements in eastern Kent? ', 21 April 2015, blog post, online at http://www.caitlingreen.org/2015/04/thanet-tanit-and-the-phoenicians.html, and 'A Mediterranean anchor stock of the fifth to mid-second century BC found off the coast of Britain', 29 August 2015, blog post, online at http://www.caitlingreen.org/2015/08/a-mediterranean-anchor.html; D. Nash Briggs, 'The language of inscriptions on Icenian coinage', in J. A. Davies (ed. 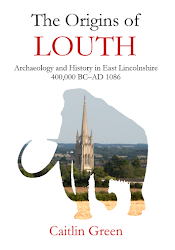 ), The Iron Age in Northern East Anglia: New Work in the Land of the Iceni (Oxford), pp. 83–102. 10 J. Evans et al, 'A strontium and oxygen isotope assessment of a possible fourth century immigrant population in a Hampshire cemetery, southern England', Journal of Archaeological Science, 33 (2006), 265–72; H. Eckardt et al, 'Oxygen and strontium isotope evidence for mobility in Roman Winchester', Journal of Archaeological Science, 36 (2009), 2816–25; G. Müldner et al, 'The ‘Headless Romans’: multi-isotope investigations of an unusual burial ground from Roman Britain', Journal of Archaeological Science, 38 (2011), 280–90; M. Pitts, 'Wealthy man in Roman Gloucester was migrant Goth', British Archaeology, 113 (2010), 7; BBC News, 'Gloucester body "is Goth warrior"', 9 October 2009, news report including quotation by D. Rice, curator at Gloucester City Museum, online at http://news.bbc.co.uk/1/hi/england/gloucestershire/8298825.stm; H. Eckardt et al, 'People on the move in Roman Britain', World Archaeology, 46 (2014), 534–50 at p. 537. For the expected Strontium isotope ranges from Norway and Sweden, see further K. J. Knudson et al, 'Migration and Viking Dublin: paleomobility and paleodiet through isotopic analyses', Journal of Archaeological Science, 39 (2012), 308–20 at pp. 310–11. 11 See especially J. Hines, The Scandinavian Character of Anglian England in the Pre-Viking Period, BAR British Series 124 (Oxford, 1984); J. Hines, 'The Scandinavian character of Anglian England: an update', in M. O. H. Carver (ed. ), The Age of Sutton Hoo: the Seventh Century in North-western Europe (Woodbridge, 1992), pp. 315–29; and now also J. Hines, 'The origins of East Anglia in a North Sea Zone', in D. Bates & R. Liddiard (edd. ), East Anglia and its North Sea World in the Middle Ages (Woodbridge, 2013), pp. 16–43. On the Wuffingas theory, see S. Newton, 'Beowulf and the East Anglian royal pedigree', in M. O. H. Carver (ed. ), The Age of Sutton Hoo: the Seventh Century in North-western Europe (Woodbridge, 1992), pp. 65–74, and S. Newton, The Origins of Beowulf and the Pre-Viking Kingdom of East Anglia (Woodbridge, 1993). 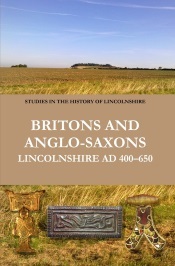 See also, for example, the evidence for a link between the Sleaford region and the Baltic in the early Anglo-Saxon period, including some possible ceramic evidence for connection between people in the Sleaford inhumation cemetery and those living on the Swedish Baltic island of Gotland—on Sleaford and the early Anglo-Saxon importation of amber, see for example Green, Britons and Anglo-Saxons: Lincolnshire AD 400–650 (Lincoln, 2012), pp. 191–4; on the possible ceramic evidence, see J. N. L. Myres, 'The Anglo-Saxon Pottery of Lincolnshire', Archaeological Journal, 108 (1951), 65–99 at pp. 68–9, 81, 99. 12 On the course of the Viking conquests and their impact, a good general overview is available in D. M. Hadley’s The Vikings in England: Settlement, Society and Culture (Manchester, 2006), and her The Northern Danelaw: Its Social Structure, c. 800–1100 (London, 2000); P. Sawyer, Anglo-Saxon Lincolnshire (Lincoln, 1998), and K. Leahy, The Anglo-Saxon Kingdom of Lindsey (Stroud, 2007), are useful on the evidence for settlement in one of the most affected areas of eastern England—note especially Kevin Leahy's discussion of the small finds reported in recent years by metal detectorists. On place-names and field-names, there are innumerable published discussions, but see perhaps L. Abrams and D. N. Parsons, ‘Place-names and the history of Scandinavian settlement in England’, in J. Hines et al (eds. ), Land, Sea and Home (Leeds, 2004), pp. 379–431, which argues in favour of the Scandinavian influence on place-names, field-names and personal names being together sufficient to indicate that there was a substantial influx of Scandinavian immigrants in the Viking era. 13 Results from all four of the cemeteries mentioned are tabulated in Evans et al, 'A summary of strontium and oxygen isotope variation in archaeological human tooth enamel excavated from Britain', Supplementary Material I (14 pp. ), although they have also been separately published too, for example in S. S. Church et al, 'Anglo-Saxon origins investigated by isotopic analysis of burials from Berinsfield, Oxfordshire, UK', Journal of Archaeological Science, 42 (2014), 81–92, and P. Budd et al, 'Investigating population movement by stable isotope analysis: a report from Britain', Antiquity, 78 (2004), 127–41 at pp. 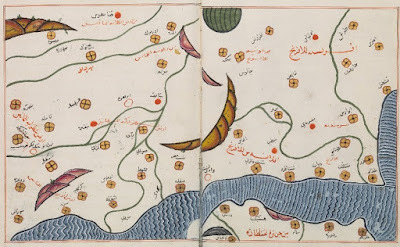 134–6. On the core of early Anglo-Saxon material culture still being considered to primarily derive from southern Denmark and northern Germany, see Hines, 'The origins of East Anglia in a North Sea Zone', esp. p. 39 (quotation), and also, for example, T. Williamson, 'The environmental contexts of Anglo-Saxon settlement', in N. J. Higham & M. J. Ryan (edd. ), The Landscape Archaeology of Anglo-Saxon England (Manchester, 2010), pp. 133–56 at pp. 147–52, along with the other references cited in my very brief discussion of this in a previous post: C. R. Green, 'Were there Huns in Anglo-Saxon England? 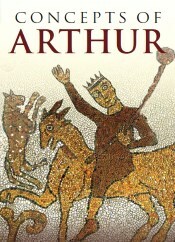 Some thoughts on Bede, Priscus & Attila', 25 July 2015, blog post, online at http://www.caitlingreen.org/2015/07/were-there-huns-in-anglo-saxon-england.html. On drinking-water levels for southernmost Norway, see the map above and also the earlier BGS/C. Chenery map from 2004: 'Oxygen isotopes values for modern European drinking water' (map), online at www.wessexarch.co.uk/projects/amesbury/tests/oxygen_isotope.html. Note, whilst identifying first-generation Anglo-Saxon migrants to Britain from southern Denmark and northern Germany is extremely difficult using isotopic analysis, as mentioned above, it may be possible to identify first-generation migrants from northern Denmark/Jutland by looking for immediately post-Roman individuals with relatively enriched results compared to what might be expected, as lake waters from those areas are unusually enriched compared to their local precipitation due to exceptional evaporation—see further on this Evans et al, 'A summary of strontium and oxygen isotope variation in archaeological human tooth enamel excavated from Britain', pp. 758 & 760. 14 The results from Bamburgh are reported in Evans et al, 'A summary of strontium and oxygen isotope variation in archaeological human tooth enamel excavated from Britain', Supplementary Material I (14 pp. ), and S. E. Groves et al, 'Mobility histories of 7th–9th century AD people buried at early medieval Bamburgh, Northumberland, England', American Journal of Physical Anthropology, 151 (2013), 462–76. On Bamburgh as 'the royal city' of Northumbria, see for example Bede, Historia Ecclesiastica, III.6; note, the Jarrow area where Bede was based was itself the second royal centre of pre-Viking Northumbria, see I. N. Wood, ‘Bede’s Jarrow’ in C. A. Lees & G. R. Overing (eds), A Place to Believe In: Locating Medieval Landscapes (Philadelphia, 2006), pp. 76, 79–80, 83. For Bede's reference to Arctic visitors in early eighth-century Northumbria, see Bedae Venerabilis. Opera. Pars II. Opera Exegetica 2, ed. D. Hurst (Turnhout, 1962), p. 317, and see F. Michelet, Creation, Migration, and Conquest. Imaginary Geography and Sense of Space in Old English Literature (Oxford, 2006), pp. 128-29, for discussion and translation; contemporary Irish and arguably Welsh knowledge of the Arctic 'midnight sun' is discussed in Green, 'An alternative interpretation of Preideu Annwwfyn, lines 23–8', Studia Celtica, 43 (2009), 207–13. There is also some artefactual evidence for contacts between eastern England and Scandinavia in the seventh century that is worthy of note, such as a class of small, seventh-century figurines that are found in East Anglia, Sweden and Russia: H. Geake, 'Figurine SF5471', PAS finds database, 8 September 2014, online at https://finds.org.uk/database/artefacts/record/id/19570, & 'Figurine SF3807', PAS finds database, 8 September 2014, online at https://finds.org.uk/database/artefacts/record/id/18358. On the people with elevated oxygen isotope results indicative of North African origins, see C. R. Green, 'Some oxygen isotope evidence for long-distance migration to Britain from North Africa & southern Iberia, c. 1100 BC–AD 800', 24 October 2015, blog post, online at http://www.caitlingreen.org/2015/10/oxygen-isotope-evidence.html, and Groves et al, 'Mobility histories of 7th–9th century AD people buried at early medieval Bamburgh, Northumberland, England', p. 470. 15 On the Weymouth Vikings, see C. A. Chenery et al, 'A Boat Load of Vikings? ', Journal of the North Atlantic, 7 (2014–15), 43–53; another similar probable mass-burial of Vikings has been found at Oxford, see A. M. Pollard et al, '"Sprouting like cockle amongst the wheat": The St Brice's Day Massacre and the isotopic analysis of human bones from St John's College, Oxford', Oxford Journal of Archaeology, 31 (2012), 83–102. On Repton Grave 511, which contained the body of a mature male who appears to have died in battle and was buried with a sword, a silver Thor’s hammer, and a boar’s tusk, see, for example, J. D. Richards, 'Pagans and Christians at the frontier: Viking burial in the Danelaw', in M. O. H. Carver (ed. ), The Cross Foes North: Processes of Conversion in Northern Europe, AD 300–1300 (York/Woodbridge, 2003), pp. 383–95, and J. Montgomery et al, 'Finding Vikings with isotope analysis: the view from wet and windy islands', Journal of the North Atlantic, 7 (2014–15), 54–70 at p. 65. On the possibility that one of the Weymouth Vikings might have grown up in southwestern Greenland in the late tenth century, compare Montgomery et al, 'Finding Vikings with isotope analysis: the view from wet and windy islands', pp. 61–2, discussing an individual with a similarly depleted oxygen isotope value who is buried in Dublin. 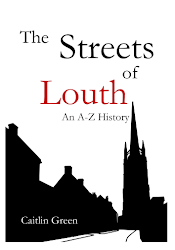 16 The results from Ketton are presented and discussed in S. P. Tatham, Aspects of Health and Population Studies in Northern Europe Between the Tenth and Twelfth Centuries (University of Leicester PhD Thesis, 2004), pp. 43–4, 68–72, 77–8, 80-91. Note, the analysis of the isotopic data in this thesis is somewhat out of step with modern approaches; it is reinterpreted in the present post in light of Evans et al, 'A summary of strontium and oxygen isotope variation in archaeological human tooth enamel excavated from Britain' (2012), and other more recent research, and the tooth enamel results have been furthermore converted afresh to drinking-water values using the 2010 and 2008 equations noted above. On Normanton, see B. Cox, The Place-names of Rutland (Nottingham, 1994), p. 201.